I fished through some articles and some statistics and compiled the most interesting statistics in one post. These statistics will make you think, question, and doubt the responsibility of your leaders. I will admit, these giving statistics are not pretty, but i hope they make you re-think some things about stewardship in the Church today. “in its 2008 report found 33.4% of estimated total giving, $103.32 billion, went to houses of worship and denominational organizations in 2007” (source). Right off the bat, the first question is what is the Church doing with the money we have already? This is 103 billion were talking about here? Are we conquering world hunger. Do all the hidden tribes in Africa have printed bibles in their language? Are we taking care of the widows? Sure, there is pressure to give more and more, but are we fiscally responsible and efficient with the resources we are receiving already? In the end this leaves 13% that possibly might be used for practical purposes. Figuratively speaking, this also means that 85 billion dollars us used primarily to keep the lights on! WOW! 85 billion dollars, that’s a lot of money, especially when you look at the new testament and see how money was used. From Acts through Revelation, you won’t find a single example where money was given or asked to meet anything besides basic needs, such as food, shelter, and health. I think we need to separate churches from the term “ministry”, because 13% of the churches resources actually go towards administering needs. “”Americans who earn less than $10,000 gave 2.3 percent of their income to religious organizations,” Smith, Emerson, and Snell write, “whereas those who earn $70,000 or more gave only 1.2 percent.” While the actual percentages are slightly higher for Christians who regularly attend church, the pattern is similar. Households of committed Christians making less than $12,500 per year give away roughly 7 percent of their income, a figure no other income bracket beats until incomes rise above $90,000 (they give away 8.8 percent). Some things never change. The story of the widow and her mite still live today. Well let’s see after all the overhead is paid, and we have enough to run the machine, that leaves about 18 billion out of the 139 billion going towards practical needs. If you think that 139 billion is a lot of money, and we could use the tithe to do greater good, just hold your thoughts and listen to this next statistic. Please . . . OH PLEASE! Tell me what a meager extra 139 billion would do? Christian stewards have received 370 BILLION dollars to do missions, spread the gospel, clothe the poor, feed the hungry, shelter the homeless, and provide ministry; and all we can do is cry about everyone tithing an extra 139 billion? Is 370 billion not enough? I have said this long before these statistics came out. You wonder why people struggle with selfishness? It’s because they are following their church’s example of giving. As a matter of fact i said that we were “selfish” just above. I said that before i even read this giving statistic. Of course i thought our external giving came to about 13%, but it looks as if i was off by 10%. We only use 3% towards practical ways of reaching the unsaved! Once again we spend only 3% of our budget to show the unsaved how generous our God is! These giving statistics are sobering, saddening, and sickening. My giving is nothing to be proud of. What about you? How has your giving been? How does your church give? 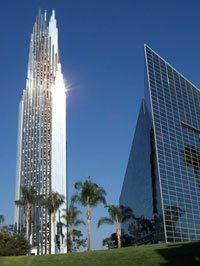 How much do you spend on your own church for yourselves, and how much do you spend on others? What do you think about these giving statistics? when you 370 billion is enough to go around the world and help you must not be living in this day and age because if you were you would notice all the hunger and suffering that the vast majority of the people in this world are suffering from. we happen to be lucky and have the ability to live in a country where we are able to enjoy so many privileges, but there are so many people who would give up so much to enjoy half of what you have. These are very interesting statistics. 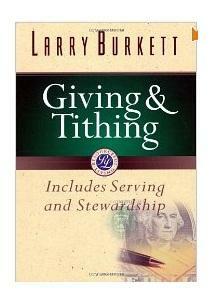 There is a book that is out and the name of it escapes me, but it talks about the generations that give/tithe. And how 90% of the churches income comes from people 55 and older. The book also goes on to talk about the future of the church in the post-modern era once all of the elders/givers of the current church body begin to pass away. All these statistics should be challenging young adults and middle aged adults to give more and rely on God to provide. It all goes to ministering to the unsaved. Think about it. There may be an allotted amount going to visitation or buying materials for visitation, but where are the unsaved going to come to get discipled if we don’t pay the mortgage? If we don’t have programs, which have expenses, what are they going to do when they come? It’s all connected. The church is for the edifying of the saved and the evangelizing of the lost. The daily operating expenses are a necessary part of God’s work. Sometimes they are abused, but most of the time the Pastor is paid way to little to live on or even support a family. Isn’t it obvious that it’s all connected? The children of darkness are wiser that the children of light because they understand this principle. How much did Jesus spend on reaching the lost and teaching the saved? John, when I read “Jesus said unto him, If thou wilt be perfect, go and sell that thou hast, and give to the poor, and thou shalt have treasure in heaven: and come and follow me.” I’m having trouble picturing any of the Apostles depositing their paychecks in the bank at the end of the week. Yes, but they did work to survive, or people put Jesus and his group up. Jesus did feed 5,000 from some loaves and fish but he did not do this everyday. He ate with the sinners and tax collectors. They gave him and the disciples food. Christ also had a nomadic lifestyle during his ministry. It is hard to relate that to the lives we hold now. You’ll get no argument from me on your comment James. I support clergy getting fed and even the occasional gift of money or clothes, however, it is devilish and carnal to expect members of the congregation to pay you or me for preaching the Gospel of Christ. If I want a car, by golly! I’ll go out and work and earn that money myself. If I want a roof over my head, well by golly! a big part of faith is putting forth an effort and working to bring to pass that which you have faith in. The Bible does not give a specific account of exactly how much. It does point out there was with them somebody who looked after the ministries finances…Ironically Judas was looking after this..
Another thing is that only 2% is going to missions – and I think about 95% of that 2% goes to countries that are considered “Christianized” places. About one penny actually goes to the people who need it the most and to the missionaries who are trying to bring the good news to them. That one penny is supposed to cover 2 billion people who have never before heard of Christ while the church spends money on making programs and getting a good building for people who could have their pick of five or so different churches near them and who have access to a Bible, to people claiming to be Christian. Christ didn’t focus on reaching people with money, but He gave himself relationally to them. He spent time with them. I dont think you get it, of what it cost to run a churh. I live in a low income area of the Washington Dc Area. Just to maintain the church is really a lot of money as well as providing for single mothers or seniors, this does not include what is cost to run the vans to pick people up for church and different activities for the childrens programs. I left my six figure job to carry the assignment of preaching and teaching the gospel of my Lord and savior and I beleive that tithing and offering is biblical way of providing for the operation of the church. You said that the church took in over 137 billion dollars, could you break that down by denominations? Pastor Cook, have you concidered relying more on your members? What I mean by that is YES, it does cost a huge amount to run the day to day operation of a church… property maintainence, lights, sewer, etc. The bills do not stop coming just because you are about the Lords work. But how much do the members do? Who runs your childrens program? You? Have you thought of putting that unemployed mother to work building your childrens program? Letting her work for her meals will give her a sense of acomplishment. How about the elderly retired carpenter, could he get that toilet unclogged? Letting him do it will give him a sense of purpose. What does that promising young man and his unemployed father do for the church? Perhaps they could visit the sick and elderly and report their findings to you. Believe it or not there is a church organization out there that employs probably 80 out of every 500 of it’s members at a cost of $0.00 and it thrivies with money and members and most important FAITH. All of it’s clergy, from the Bishop to the Priests to the woman who runs a youth program to the accountant, take $0 for the countless hours they work. Another very wise man said, “when ye are in the service of your fellow beings, ye are only in the service of your God.” When the scores of member both young and old sacrifice their time and talents to serve their fellow man their faith abounds. Now what about you? I admire that you left your 6 figure salary to preach…but why? Could you not have done what thousands and thousands of clergy are doing every day in America and provided a living for yourselve and…AND serve competently as the leader of congregations as large as 500 or more? I do not mean to sound rude and I don’t know your situation completely, nor did you say whether or not you got paid for your duties, but, if you do get paid (as many others on this site have argued it is their right to be supported by members) it sounds like you went from being a valuable asset to the church both spiritually and financially to being someone who now may still be a spiritual asset but has become a financial drag. With your 6 figure salary, could you not have donated a van and kept its tank full? How about your salary now (if you have one) would that not pay for a van and keep it full? Would it not help feed several people every day, would it not pay for the electicity bill? I know, I know, “without me there full time the church will fail, the children will starve, the sick will die!” Brother, it is the Lords work, not yours. Have faith in him by serving his children, serve his children without expectation of reward (aka a salary) and you will truely know what it means to love the the Lord thy god. “I” didn’t say the Church took in over 137 billion dollars. “I” quoted the source that said it. i just want you to see i didn’t throw these numbers out there on a guess. Just because it’s a financial struggle to do God’s ministry, doesn’t prove that a 10% mandate is a commanded, NT model for giving in the Church. Nor does it mean that ministry needs can’t be met by freewill, spirit-led gifts. Look how even Israel gave before they were required to tithe in Exodus 35 & 36. Read all the accounts of giving in the NT, and you won’t find a single verse that gives credit to tithing. Sure, the tithe is biblical because it is in the bible, but it’s not a command for the Spirit-led New Covenant Church. We are free from the curse. It’s interesting you say that we are free from the curse of paying tithing. Wherein was the Law of Tithing fulfilled that was talked about in Malachi? Where, how, who, what, says that the priciple of tithing was done away with? You yourself mention that it was nowhere mentioned in the New Testiment. Are all Gods laws contained within the words of the N.T.? I give a resounding NO to that question. The N.T. alone cannot contain all the knowledge and laws and priciples of God. The fact that the NT remains silent does not negate the Law of Tithing, if anything, it reaffirms the priciple. We have many truths known to us today for the simple reason that congregations (Ephesians, Galations, Corithians, etc…) were wavering from the truth and the Apostles had to clarify and expound on Christ’s teachings. The fact that The Law of Tithing remained a “No Brainer” that didn’t require mentioning during the realativily short period of time the NT was written gives no credit to the arguement that tithing is now a law that should be followed today. tithing has no role in the church. Giving has a major role in the church. But giving to what? Buildings, programs, salaries? I don’t see any example of that in the New Testament. Paul speaks of how he would earn is own living as he preached to the lost and the church. People gathered in each other’s homes for fellowship and praise. Institutional church was created by man using God to do it. Many a “man/woman of God has more spoils from the “church” than the average individual in the world today. Would Jesus take a salary to spread the Good News? Would Jesus have set up “shop” and hung a “sign” out declaring His “church” open for business. The 21st Century church is fooling itself about money! It is in love with money! And that good brothers and sisters is the root of all evil. We can’t minister because all we can argue about is money! We don’t give enough; we don’t support the local church enough; poor ministers are “starving” because the local congregation won’t fork over more money! I sure hope that some of us get our eyes open! Jesus set us FREE from the Law! Tithing is a part of the Law! Giving is a part of God’s Love! I agree with you that many worry way too much about money but I’d like to make 2 points. First, The giving of tithes, as God himself says in Malachi is a law that carries with it great blessings if followed. All clergy should encourage giving because those who give will have the blessings of Heaven poored out upon them. What a great gift you can help your congregation achieve! Those who first see increases in giving as a way to pay the rent or make improvements to the church or most heinous, to increase their salaries instead of seeing it as a way to increase the blessings to their congregations are on their way to becoming wolves in sheeps clothing. “The Law” did not become null and void with Christs fulfillment of it. Take, for instance, Adultry. The law forbade adultry, and there were consequences of commiting adultry. After Christ the law became, not only that we do not commit adultry but that we also not have the desire to commit adultry. We’re commanded to not murder, but unlike before Christ, we are now commanded to love our enemy. Tithing most certainly WAS part of the Law and tithing most certainly IS STILL a part of the Law. The difference is now we must not simply pay tithing, we must do so with a cheerful heart. So David, until heaven and earth pass we are stuck with the same law that existed as Adam left the garden. Following Gods law is not for the faint of heart and preaching Gods law is even tougher because God will hold you accountable for what you teach. You have an obligation to teach the Law of Tithing. Where much is given, much is required. God will cause you to ponder my admonition and if you are truely in tune with the Holy Spirit, when you pray and ask our Father in Heaven if the Law of Tithing is as true today as it was in the days of old, you will feel a lovely peaceful calming joy come over you. That, my friend, is the Holy Ghost confirming to you that what I have said is true. Brother Lynch I give you these NT verses to think on when you say preachers should not be paid. Notice particularly the Cor. 9 reference “Do I speak to you as a man or does not the law say the same?” A clear reference to OT doctrine on feeding the Priests and Levis. 14 Even so the Lord has commanded that those who preach the gospel should live from the gospel. As we see they should make their living from their work as preachers. 27 It pleased them indeed, and they are their debtors. For if the Gentiles have been partakers of their spiritual things, their duty is also to minister to them in material things. 17 The elders who do good work as leaders should be considered worthy of receiving double pay, especially those who work hard at preaching and teaching. 4 Do we have no right to eat and drink? 5 Do we have no right to take along a believing wife, as do also the other apostles, the brothers of the Lord, and Cephas? 6 Or is it only Barnabas and I who have no right to refrain from working? 7 Who ever goes to war at his own expense? Who plants a vineyard and does not eat of its fruit? Or who tends a flock and does not drink of the milk of the flock? 8 Do I say these things as a mere man? Or does not the law say the same also? 9 For it is written in the law of Moses, “You shall not muzzle an ox while it treads out the grain.” Is it oxen God is concerned about? 10 Or does He say it altogether for our sakes? For our sakes, no doubt, this is written, that he who plows should plow in hope, and he who threshes in hope should be partaker of his hope. 11 If we have sown spiritual things for you, is it a great thing if we reap your material things? 12 If others are partakers of this right over you, are we not even more? Nevertheless we have not used this right, but endure all things lest we hinder the gospel of Christ. 13 Do you not know that those who minister the holy things eat of the things of the temple, and those who serve at the altar partake of the offerings of the altar? 14 Even so the Lord has commanded that those who preach the gospel should live from the gospel. Please try and explain what 1 Timothy 6:4-5 AMP says first then maybe we might enter into a debate .If you say that the scriptures teaches that minsters of the gospel should make a living or profit from preaching the gospel then we need to remove Pauls letter from the bible or God made a mistake and allowed Pauls letters to be in the bible . I dare you to put aside your presuppositions about tihting for one moment. I want you to read Malachi 1, 2, and 3 and tell me who God is addressing as the problem. You will not be able to see who He’s talking to if you place your previously held beliefs in front of the text. I remember when I brushed aside all preconceived notions about what I had heard and been taught. I had to read it for myself. Mal 1:6- A son honoureth his father, and a servant his master: if then I be a father, where is mine honour? and if I be a master, where is my fear? saith the LORD of hosts unto you, O PRIESTS, that despise my name. And ye say, Wherein have we despised thy name? Mal 2:1 And now, O ye PRIESTS, this commandment is for you. This commandment runs at least all the way through Malachi 3. So who are the robbers and thieves? The very same ones who declare that the Levitical Priesthood is still active in church leadership today. So Malachi 3 should be ringing loud and clear in the heart of church leaders today. Stop offering up the lame sacrifices and offerings of a false gospel that preaches to its own gross error, even though that the gross error may be accidental. Let me explain this statement. Pastors who preach tithing for the church are the very ones who will preach Malachi 3, aware or unaware that they are preaching about themselves. They are so concerned about money that they are derelict in preaching the cross except in the month of March or April. We are to give more then a tithe. Look at the widow in the temple. Jesus points her out because she gave all she had even though it was a small amount. Well others gave out of their excess. She obviously gave more then a tithe. Others their could have been giving a tithe but for them it was extra and it never required them to trust God. Jared, was tithing ever a curse? No it was a way to provide to those who were working in the ministry and to store up for those in need. Just like the law was never intended to be a curse but because man decided to abuse it and set up rules and regulations around it that it became a so-called “curse.” The law was meant to bring freedom just as the tithe is setup for freedom from clinging on to what is not ours because we are stewards of what we were given. If we look at NT giving those people gave it all. Jesus did not come to take away from the word but to fulfill it and to show us what we were really supposed to look like as people under the authority of God not the other way around. Giving the tithe is freedom in of itself and NT giving is the cheerful giving of what we have not clinging to it as though it would save us! Slaughtering sheep and oxen provided food for the priests as well, but how would provision mean it’s ok to practice today? I agree with you about the value of Jesus’ gift, but do you really think His “invaluable” sacrifice is an example to confirm tithing or annul it? Spirit led giving has the potential to accomplish everything that tithing did. We just have a hard time comprehending through our immature minds how the Holy Spirit could actually work in the Church today like He did in Acts. We hate faith, and want our clear answers and set rules for a security blanket. That’s why our flesh is stuck on relying on tithing. Wow! These are some very interesting comments. I am writing a book right now and I am going to use some of these facts in it. For those of you who are so desperate to hold onto the traditional and religious act of tithing, Jesus didn’t teach it, the Apostoles didn’t teach or practice it, why is the american church doing it today? Money is so unimportant to Jesus that he never even addresses it. In fact, it is so unimportant to him that he put it in the mouth of a fish for the temple tax. I believe that context has already been quoted with “are the children requiered to pay tribute?” Tithing was an old testament taxation system established by God to support the widows, orphans and poor levites. Also to provide for feasts and events. See leviticus, numbers and deut. Tithing is not in the early church. Giving is. Paul came to the church with a need and asked them to support the church in Jerusalem but that event seems to be an as needed type of giving. We are instructed not to give out of compulsion/tradition. See Matthew 15:1-9. Powerful passage. Tithing was not even reestablished until around the 15th century I believe. Look it up. It was reinstituted because the land owners in Europe were requiering the church owners to pay a fee or rent. For the pastors out there comfortable recieving a salaray provided by the tithe I give you this. Paul states to the elders that he wishes they would have jobs to support themselves. Paul was a tentmaker. I challenge that it would be very hard when your salary is dependent on how many people are in the seats for the conditions and motives of your hearts to be pure. Paul said that it is ordained that those who preach the gospel should live by it. Does that mean recieving a salary? Maybe it means people give you a place to stay for the night or provide you with groceries. Paul is very conscious about not making himself a burden financially. Some things to think about. Yes if there is no tithe then the buildings may not be paid for and program expenses etc. As for that, show me in the New Testament where the giving is going to buildings, programs and salries. I see it going to the poor and needy of the community. you better go back and read the Bible again. Jesus did teach a lot about money. I’m not going to tell you where to look, because you need to do your homework. God bless. Please list for me the passages that you think shows money was important to Jesus. And I forgive you for your rude, disrespectful and condescending remarks. Sorry to come to the party late, but Paul often organized giving to support the Jerusalem church. He considered it a joy and a privilege to bring the money to them and told the churches he built to do so. The root of all evil is not money but the love of money. Money can do wonderful things. Jared, I understand your thoughts may come from a good heart but they are not wisely executed. If people stopped tithing do you think the church would be a stronger representative of Christ? Do you think Christianity would be better off? All your efforts may be sincere but they hurt the cause of Christ. If more people tithe would more money go overseas? Yes, it would! Maybe not as much as you want but that is hardly the point. And who says upkeep on a church is not a good use of money? I know many blessings have stemmed from churches and countless people saved. The term “honor” in Greek is the word ???? ?, which literally means “Money Paid.” Complaining about tithing and making others follow suit is contrary to the Spirit. If you want to be more honest to the text give more to the church than the tithe [which by the way means, 10%]. The early church gave all they had/could. There is your model. For you yourselves know how you ought to follow our example. We were not idle when we were with you, 8nor did we eat anyone’s food without paying for it. On the contrary, we worked night and day, laboring and toiling so that we would not be a burden to any of you. We did this, not because we do not have the right to such help, but in order to make ourselves a model for you to follow. Paul had the right to accept money but did not in order to bless this church further. However, he did accept money from other churches in the journey, see 2 Corinthians 11:8-9. The reason that poor people give away more money than rich people is because they are less educated and more easily manipulated by their religious leaders. Educated people know that they don’t need a middle man – the church – to do good for mankind. They skip this middleman profit center and contribute directly to the source. wow, that is out there, are you saying poor people are noy smart? by the way i can spell, but i cant type. Respondents are always the most reliable when they respond anonymously and controversially. Anyone who thinks the church is a middleman “profit center” has never worked in church work. please give facts from the Bible to argue that Christians sin if they do not give to their local church? Oppressive state controlled Catholics could not defend required tithe in the past. Have you really thought about it? Do we need more Christian leaders taxing people or do we need more missionary servants? A true heart of sacrifice to Jesus expects suffering and never demands money for sharing the gospel. Jesus became a servant. All true Christian leaders are the greatest Servants. I think of the Abolitionist who helped to end slavery in the World and the missionaries who travel to dangerous places. Money is very low in their hearts. Christian servants like these expect sufferings. All Christians are priest. All Christians have the ministry to sacrifice in love. Who should sacrifice the most? Those who are the greatest should be the least. A Servant should not expect entitlements. No Christian leader can demand or expect 10% another Christian’s money as inheritance from Jesus. All Christians are priest so all have inherited his ministry of sufferings. Missionaries understand that their job is to suffer, Jesus understood his job was to give it everything. Martin Luther The GReat REformer already had this argument with the Catholic Church. The Eearly Protestants were against tithes for Christians the. They faced the dangers of Violent persicutions from the Government Churches. Ancient orthodox churches, Lutherans, then Baptist, and Methodist did not teach Christian ten percent required money tax to local churches. This is a modern invention for evangelicals. Do you really think it is healthy for Christian leaders to expect as their special inheritance 10% percent of anyone’s income? It is not a servant’s heart but it sounds like the expectations of any earthly king. Yes, tithing has a history but that doesn’t make the practice wrong. Let me change that, giving has a history. And you are right, no Christian leader should demand or expect 10%. He can demand nothing but he should expect more. Yes, we are called to suffering, but suffering from the world. We are not called to make each other suffer. The early church gave everything to support one another and we should do the same. If you have funds you can give to God’s church. Give as much as you are lead… but for those weaker brothers who do not understand what giving truly is, let them tithe. Even though I say tithe, churches only give 3%. Which is not a tithe at all. Mandated or not, we all give so little. Let me first say that my wife and I tithe 10% faithfully and we also budget “offering” money each month for giving we want to do that does not go in the offering plate. I think you’ve missed the whole point. We give because we are made in God’s image and God is a giver. God is the one who’s asking us to give. He asks us to give because he knows it makes us better, less selfish people. So much is lost in all these statistics. You play it off like all this money is doing nothing, but the fact is there are tons of people around the world who are helped by the billions of dollars that faithful Christians give each year. One example in particular is the United Methodist Committee on Relief (UMCOR). UMCOR is working in more than 80 countries to alleviate human suffering and this is only one organization! 80 Countries! Just think of what they could do if more Christians controlled their spending, stopped borrowing money, and actually tithed. I think if you are unhappy about what is happening in your local church you need to get more involved with the church. Don’t use that as some kind of excuse to keep you from giving. Thank you for your comments Bill. I completely agree! Bill, I think that you might have missed the whole point. There is no call here to stop your giving. I’m tired of the Church salivating over what we could do with more money. We spend 85% of the offerings on ourselves Bill. Look, UMCOR is the exception, not the rule in this case. I know you seem upset that Christians can’t control their spending but you’ve just confirmed that the Church has a problem with spending money on ourselves. The Church is made up of individual Christians Bill. You cannot defend the character of the Church body and yet attack the spending habits of individual Christians. There isn’t a magic spell that keeps a corporate body immune from the diseases of its individual members. it’s amazing how my family can justify our wants into needs. Which makes me seriously doubt that our excuses we use at home magically disappear at the ‘church’ door. If i want a new car, i can find hundreds of biblical ways to justify that God wants me to get this car. As a matter of fact, i can practically turn my hot car into some sort of ministry expense. if i can put my spending under the category of “ministry” i can justify just about anything is spend. I think we can agree on 1 thing- Christians are spending way too much. Now whether we agree that the church has the same problems as it’s members is something we might disagree on. whether you tithe, or just give, do it with a cheerful heart. You might say 85% of church money is being wasted but that is hardly the case. Do you think these churches accomplish nothing. They provide a place to worship and gather and celebrate God. As well as providing countless ministries and helps to their communities and no that is not the exception. You can survey church after church and most are not self satisfying. The honest heart of God is seeing churches do his ministry and most are. They might not all be the best managers but we are not perfect. We try and serve God and represent Christ. UMCOR is not the exception either. Even a lukewarm search can garner 100s of similar organizations from different Christian groups, probably 1,000s. Most with honest servant leadership who try their best to do God’s business. The church is the same. When it comes to Tithes and Offerings, a serious look needs to be taken at the Mormons. They reportedly have a wildly succesful record on the practice. I think that a debate more important than Tithing would be concideration of volunteer Ministers, Deacons and Teachers instead of paid clergy. Eliminate salaries and funnel the money into missionary efforts. It may sound crazy but greed and backlash from career clergy would be the single biggest barrier to launching the church into a newer more successful era. Jesus and his diciples did not expect to get paid but they expected earthly suffering to love the poor and hurting of the World. I am not a Mormon but they are wonderful people and usually great nieghbors and good Republicans like myself. My Caucasian wife grew up Mormon and I am African American. Her ex-Mormon Father rejected me at first becase he grew up Mormon. My father in law and I now have a loving relationship. I compleetly disagree with Most of Mormon beliefs as against the Jesus of the Bible. Josh has a point. The model of unpaid clergy is superior to proffesional Christian leaders who expect 10% from other Christians. Alcoholics Annoymous, The Jehovas Witnesses and Multitudes of Charities grow with a majority of leaders who do not expect payment. I do believe that more money can be raised by folks who are willing to suffer for the poor and hurting without expecting payment. You are aware that Mormons beleive that marriage and the ETERNAL (not just till death do we part) blessings of marriage can be a huge source of happiness. I can understand how sad I would feel if my daughter chose to not partake of those blessings. That sadness can often be translated into animosity or percieved animosity towards the new spouse. In most cases, after a parent realizes that their son/daughter ultimately must work out their own salvation and all they can do is love them…relationships begin to heal. I am joyed that you and your father-in-law are now doing well. Please read 1 Timothy 5:17 and use your concordance. When we read about honoring these elders, we are talking not only about respect, but also talking about remuneration. In fact, the word “time” is translated in several places in the New Testament by the word price. So it is not a word disassociated from money. You will find it so translated, for example, in Matthew 27:6 and 9, Acts 4:34, 1 Corinthians 6:20. So what Paul is saying is give honor but let that honor have within it remuneration, if need by. By the way, honor in the Old Testament, also contains that same idea. For example, in Proverbs 3:9 it says, “Honor the Lord with your substance.” What does that mean? That means honor the Lord with your respect and your regard as demonstrated by giving Him your money. And then it further says, “With the firstfruits of all your increase.” So there honor carries the idea of giving money to God in an offering. Also in verse 31 of Proverbs 14 it says, “The one who honors the poor by having mercy on him,” it refers to one honoring the poor through mercy that has the idea of giving them something to supply their needs. So, Paul here is saying then that you are to make sure that one who is over you in the Lord, who feeds you and leads you, is honored. An elder is to receive honor, that is respect and remuneration as fitting and necessary. That forms a true estimate of his worth in a tangible way. You say, “If Paul meant that why didn’t he just say money?” Well, because money is such a crass expression he would rather deal with the motive behind the money than just deal with the money. How much nicer is it to say, “Here’s your money, fella?” You wouldn’t appreciate that. 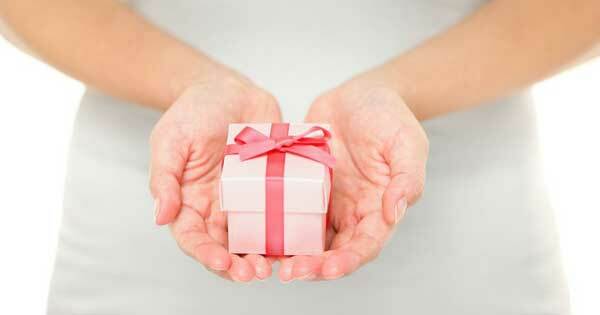 If someone could say to you, “We want to honor you with this gift.” There’s a big difference in that expression. And Paul was want to do that almost on every occasion. In fact, you’re hard pressed to ever find Paul actually talk about money. Let me give you just a little insight into that. In writing to the Romans and the Corinthians, he referred to money on one occasion as service. In writing to the Corinthians, the Galatians and the Philippians, he referred to money as fellowship. He referred to it again to the Corinthians as grace. In 2 Corinthians chapters 8 and 9 he called it liberality. In 2 Corinthians 8:20 he called it bounty. In 2 Corinthians 9:5 he called it blessing. In 2 Corinthians 9:8 he called it a good work. In Galatians 6:6 he called money good things. In Philippians 4 he called it a fragrant aroma, an acceptable sacrifice. In 2 Corinthians 9:10 he called it a seed, in the same verse he called it a harvest of your righteousness. In Philippians 4:17 he called it a gift, and here he calls it honor. In other words, rather than dealing with the crass nature of the money itself, he wants the money to convey a heart attitude, a motive, a sense of love and intimacy and spiritual significance. So he puts it in terms other than just the crassness of the terminology of money itself. So what he is saying here is to honor. And he’s really dealing with the motive which will result in remuneration. So the bottom line here is that an elder is to be cared for, he is to be honored in terms of respect and he is to be honored in terms of remuneration. “Don’t I have a right to stop making tents, or stop doing leather work?” As was his trade. After all, verse 7, he says, “Who goes to war at his own expense? Who plants a vineyard and eats not its fruit? Who feeds a flock and eats not the milk of the flock?” I mean, there are some things that have in them built in remuneration. You don’t go to the war and try to hold a job on the side. You don’t raise a crop and not eat the results. You don’t have a herd and not enjoy the milk. “Say I these things as a man,” these are just human things, “but doesn’t the law of God say the same? Doesn’t it say in the law of God, Thou shalt not muzzle the ox that treads out the grain? Does God take care for oxen?” If God says in Deuteronomy 25 verse 4 you’re supposed to let the ox that treads the grain eat, don’t you think He cares about the one who provides your spiritual food as the ox provides your physical food? And isn’t a man more valuable than an ox? And isn’t a preacher more valuable than anyone? If we have sown, he says in verse 11, verse 10 rather, or saith he it all together for our sakes, for our sakes, no doubt, that it is written that he that plows should plow in hope, and he that threshes in hope should be a partaker of his hope. You work and in your work is built in the hope of your remuneration. “If we have sown to you spiritual things, is it such a big deal if we reap your things?” In other words, if we give you the things of God, is it wrong for us to have back the things of this world so that we might live? “If others be partakers of this right over you, are not we rather who preach to you the Word of God (implied)? Nevertheless we have not used this right.” How about that. Twelve verses to have established the right to be paid and then he says, “But we don’t want it.” He says we have a right to it and I want to lay that down, but I choose not to take it so we don’t hinder the gospel of Christ. There was some exigencies in Corinth, there were some reasons why he didn’t want to be chargeable to them. He felt it would be better for the ministry so he said we have a right to it, and he establishes the right of every preacher and teacher in the future, every pastor and elder, every apostle and prophet in the future to be supported. But here he defers from that because, he says, we don’t want to hinder, and there were some reasons why in his mind that would be a hindrance so he cared for his own living. And as he says in 2 Corinthians chapter 11, “He robbed other churches.” In other words, he took money from other churches to fund himself to minister to the Corinthians because he didn’t want to be chargeable to them. If you know anything about their church, you might understand that. They were a tough bunch to work with and he didn’t need anything that might cause more criticism of his ministry. He was being very harsh with them, as it was, he didn’t want them accusing him of a money motive. But verse 13 he picks up the same thought, “Do you not know that they who minister about holy things live of the things of the temple? They who wait on the altar are partakers with the altar? Priests function in their priesthood and are supported by that function itself. Even so….and here’s the climax…has the Lord ordained that they who preach the gospel should live of the gospel.” That does not mean, as you hear so often, if you preach it you ought to live it, that means if you preach it you ought to be supported in your preaching of it. You ought to be able to earn your living in your preaching. So, here Paul affirms the idea that those who minister are to be supported in that ministry. However, he says, if you choose, as I choose-implied, that you can defer from that support for whatever reason you might have. For example, in writing to 1 Thessalonians, writing to the Thessalonians in the first letter he says, verse 9 of chapter 2, “You remember, brethren, our labor and travail, laboring night and day because we would not be chargeable unto any of you, we preached unto you the gospel of God.” We didn’t want to be chargeable so we worked night and day. He had to work his ministry all day, and he had to earn his living all night, but he did that because he chose to do it to make the gospel more palatable to them. So we can safely say then that while the text of 1 Timothy says that the one who is an elder is to be honored, and that implies both respect and remuneration, there may be those circumstances when by God’s design and the prompting of the Spirit and the will of God there is a pastor/elder who chooses to earn his own living and that by God’s design certainly has a place in the plan. Should the time ever come when he feels that he would desire to pour himself whole-heartedly, totally and consume his life in the ministry, the church then should take over that remuneration. But as long as he feels it is the direction of God for him to be in employment where he is, the church has no obligation. The point here is we are to honor and give respect and remuneration where remuneration is due and where it is necessitated. Now let’s go back to 1 Timothy chapter 5 and see if we can’t follow a little bit further through this thought. And I’ve just laid really the sort of the implicit underlying truth that elders are to be honored. When a man is an elder, just because he’s an elder or a pastor, same thing, he is due respect and whatever remuneration is fitting to supply his needs and expedite his level of service just because he is a pastor/elder. Now that is the underlying point, now mark this, but that is not Paul’s point here. That just sort of lies beneath the surface. What Paul is doing here is contrasting, or really comparing that with this, “Let the elders that rule well be counted worthy of double honor, specially the ones who work hard in preaching and teaching.” The underlying assumption is that all pastors are to be honored, but Paul’s talking about the kind that are worthy of double honor, by contrast to the general category of pastors who are to be honored on a single honor level. Notice the little phrase “double honor,” what does that mean? Well, it basically means generous ample pay, generous ample respect. The intent here is to show a difference between general category of pastors and a unique category of pastors who rule with great excellence and who work very hard in the preaching and the teaching. They are worthy of double honor. Double honor assumes as its comparative honor, so we say honor for elders, double honor for excellent hard-working elders. That’s the idea. The Spirit of God knows that among those who serve the church there will be a great group of faithful men who will serve the Lord with blessing, but there will also be a group of men who will serve the Lord with a greater effort and a greater commitment and a greater excellence and they are worthy of a greater acknowledgement, of honor from the congregations they serve. It’s not a mathematical equation here to figure out what the normal elder gets and double it, it’s the idea of ample generous support, remuneration and respect. All elders are worthy of it, some are worthy of more. But the emphasis is not on the verb ruling, the emphasis is on the adverb – well. And that adverb means with excellence. The elder, the pastor who leads with excellence. Now what would that be? How would we define excellence? I suppose we could go back to chapter 4 and we had in chapter 4 from verses 6 to 16 at least a pretty good insight into what excellence would be in leadership as Paul instructed Timothy. He said, verse 6, “If you put the brothers in remembrance of these things, you’ll be a good minister of Jesus Christ, nourished up in the words of faith and good doctrine, refusing profane and old women’s tales, exercising yourself to godliness.” And he talks about down in verse 11 teaching and commanding, in verse 12 living out an example, verse 13 giving your attendance to explaining the Word of God, verse 14 using your gift, verse 15 concentrating on all these things and into verse 16 summing it up, taking heed to yourself, your personal life, to your teaching, continuing in them and so forth. If we were to go back through all of that, which we did over several weeks, we would find the excellence of ministry is there. It is bound up in quality leadership. It is bound up in godliness in the life. It is bound up in teaching and explanation of Scripture and exhortation, setting a and example and pattern that others can follow. When a man excels in his ruling, in his leading, he is to be given double honor. Now the point here, keep it in mind, is not to make a distinction between two kinds of elders, one kind who rule and one kind who teach and preach, there’s no such distinction made in Scripture. It is a contrast between elders worthy of honor and some elders worthy of double honor because of the excellency of their ministry. All serve, all lead, all teach and preach to one degree or another. Some may preach more than teach, some may teach more than preach, some may lead more than preach or teach, but they all do all of those to some degree. The contrast is not between ruling and teaching elders, there’s no such dichotomy, the contrast is between the general group of men and those who are a cut above because of the excellence of their ministry. I mean, double honor assumes honor. It’s not a contrast between all good elders and bad elders. The New Testament knows nothing of bad elders. As soon as you’re a bad elder you’re not an elder. As soon as you’ve sinned, you’re disqualified. So he’s not comparing holy elders and sinning elders because if holy elders were worthy double honor, then sinning elders would be worth honor. But since sinning elders are worthy nothing, you can’t be making comparison between sinning elders and excellent elders because if sinning elders are worthy nothing and good elders get double that, they get double nothing which is nothing. I mean, every way you look at it, and I’m pushing the point, the contrast is not between good and bad, it’s not between ruling and teaching, it’s between those elders who are faithful, worthy of honor, and those who are excellent, surpassing the others in their ministry. He is comparing the respect and remuneration due to all elders with those due to unusually committed and diligent pastor/elders. And the verb “let be considered worthy,” which is the Greek text, reflects on a mental estimate. You evaluate them and let them be worthy of double honor. Now what he’s saying here is this isn’t a gift, you’re not saying we want to give this as a gift, we want to give you this as a reward, we want to give you this as an act of grace. The idea is they deserve it. Consider that if they do an excellent job, they are worthy of that. It’s not something you’re giving out of grace as a gift, it is something they have really earned, they are worthy of that because of the excellence of their leadership. Peace to you all,Its very intresting to read our dear brother Frank Morrisons interpretation of Apostle Pauls letter to the churches. First of all,Pauls letters to the churches stated that he worked making tents.Paul encouraged the churches to continiue in their “gift of giving”.We need to understand not all the churches operated in this gift. Remember when Paul spoke about gifts in (1Corinthian12:1-11)Paul revealed that not all have the same gifts.Paul clearly teaches that not all can perform miracles,prophesy, healing or interpret unknown tongues,gift of faith,and other important gifts. (2Corithian 8:6NLT)clearly stated that Paul was encouraging the Corinthian church to continiue in this special gift.I quote verse 6 Titus,who encourage your giving in the first place,to return to you and encourage you to finish this “MINISTRY OF GIVING”. Paul knew that not all the churches operated in this gift. The Holy Spirit guides and direct christians to ministers that need financial support who are walking by faith to give to what God is doing in their ministry. Jesus warned us about wolves in sheeps clothing,(1Timothy 6:5AMP)says that christians or leaders beleive that the gospel is a “SOURCE OF PROFIT(A MONEY MAKING BUSINESS)A MEANS OF LIVELIHOOD” Paul warns,from such withdraw.That is a serious warning I think. I am only pointing out to you what is in the bible,please dont get offended.We cant quote verse out of context.Paul wrote letters to the churches not single verses. Please read complete letters by Paul to the churches not just a few lines and try to make a complete new theology from it that is self focus and manipulative. Most Christians give financial support to the work of the Lord but please be careful, many wolves are deceiving the body of Christ because of greed and lust for money. Not all pastors and leaders are God sent,listen to the Holy Spirit and He will guide you to where He wants you to give your financial support. Very well said Al Sydney. Without deminishing any work Mr. Morrison does do for the good of man, I am a little uneasy about his explanation, or biblical justification of why clergy should be paid. I am most concerned about the “Double Honor” comments. All things should be done for the honor of our Lord, NOT so that man may honor (or double honor) the Lords servants whether it be through money or respect. Mankind should honor our Creator by giving all they have to him, not by using his church to make a living. I am living proof that one can be a devoted Elder giving weekly sermons to a group of Deacons, while organizing weekly presidency meetings and weekly church youth activities, all while also working a worldly job 40 hours a week. I truely don’t mean this with any disrespect whatsoever but think of the drain paid clergy put on the church financially! When you accept a salary for your work, therein lies your reward. Think of how much greater your reward will be in Heaven when God is the giver of rewards, not the congregation. I for one know my efforts to further the work will be rewarded more justly by God than it will be by man. Thank you Frank Morrison and Merry Christmas and Happy new year to everyone. The following shall be a long post maybe others will receive some of Jesus out of it. My thoughts are not systematic but if one suffers through this post you will get it. I even spell checked this post so yall is lucky but my grammar will be bad at times. I am African American and I do slip into Ebonics posting habits. This post is about every Christian being a priest in Jesus and against Christian tithing. Frank I will read your post again to catch the meanings behind your post. Do you believe that Christians must give ten percent to certain Christian leaders? I suspect from your post that you do not. Please spell that out more clearly if you have time because that is at the heart of this blog. Happy New year everyone including Frank. Friends If Christians have love they will support those who do the most work for Jesus. A good leader makes and trains loving priest who fellowship and give naturally. All Christians are priest. Never did the New Testament clearly define Pastors as Elders. Evangelist, Teachers or Prophets could be elders, evangelist, and prophets and so on. Do we disagree? Merry Christmas and a happy new year. Frank I think you read into my post correctly that I am against traditional leadership structures found in most evangelical fellowshipping congregations. I think this blog Challenges all Churches and leaders. I was once a paid Presbyterian youth leader the last time I called someone pastor believing that my labeling of them meant something important. True pastors are like Jesus and suffer to help the poorest and those without the gospel. True pastors get persecuted greatly. Jesus told the most spiritual to expect the entitlement of persecution suffering and loss. This is mentioned over and over in the New Testament. Jesus did not promote entitlements of money to Christian leaders. It is amazing when folks find things to support the status quo of entitled professional Christian leadership in the New Testament. Frank and every Christian leader, the word Pastors is only found once in the New Testament. American leaders find money entitlements behind the titles of Elder and Pastor. The word pastor is not found at all in most English translations. Why not teachers missionaries evangelist and prophets also be entitled to money? Heck, why not find an entitlement to money for all Priests? How can one be sure that current meanings of Elders and pastors mean what our American traditional denominations pour into it? Take a look around our governments feel entitled to money and they are very inefficient at getting work done. In Jesus and in the New Testament all Christians are entitled to the love of Jesus. My definition of friends and family leadership can easily fit what is found in the New Testament and it is devoid of money entitlements. Please anyone correct me where I am wrong. Leaders are not entitled to money in Jesus. Frank and Everyone, Here is a look at some false American Pastors. Historically many not all-American “pastors” owned Christian slaves. In this relationship many of the slaves should have been the real pastors to their American “pastor” owners. Jesus knows who they were. American Pastors helped to write our Constitution calling Black people 3/5ths of a person and by fighting 2 wars against the Christian British and other European nations for land. Many Christian pastors supported the stealing of land from the Christian Cherokee peoples and supported numerous wars against other Native peoples. The New Testament calls no Christian pastor specifically and I consider the label of Pastor the job of Jesus. He calls Christians evangelist and teachers. Now elders are brothers in Jesus who I as a priest can learn from their words and deeds. Jesus said I am the good Sheppard the good Sheppard lays his life down for the Sheep. 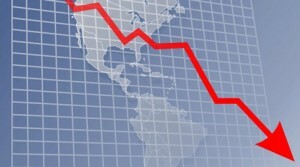 A true Christian Pastor suffers greatest loss and expects the least worldly blessings. Are not missionaries to dangerous and impoverished countries the most like Paul and the Disciples? I respect them as pastors but pastor is not my label to give to anyone. Do you disagree with what I have just written? I think church structure is enhanced by using the titles as much as the New Testament did. Christian friends and family are my Church fellowship and giving is based on need and relationships completely informal. Jesus the true pastor evangelist and teacher that I try to experience from my Christian friends and family. I do believe in Elders. Are you a professional Christian leader and what kind of Christian group is your regular fellowship? Friend I love that you took the time to make a thoughtful post that I agree with many parts but I don’t know exactly where to start with my disagreement. I am not against Christians receiving money for work. Jared is not against Christians receiving money for work. I think you and I agree that the best Christians care the least about receiving money. That is true Christian leadership the leaders who are quick to volunteer for suffering and loss for the cause of Jesus. Frank and everyone reading, where do we disagree friends please explain how what I postulate could go against the scriptures. I do know that folks who put a tithe envelope and teach about Christian’s necessity to tithe leave the impression that if folks do not offer 10% of their money they are in sin. In fact taking money from a friend who feels as if they must give 10% or be in sin is wrong even if the receiving leader did not make that person believe the 10% stuff. Thus all pastors not teaching against Christian tithing but leaving a tithe system in place in their congregations are wrong in my opinion. Do you feel the same? A true Christian fellowship should work like a true family. If my mother went to Mexico preaching for Jesus and was in prison I would bail her out. If my brother preached and was in danger and poverty like Paul preaching for Jesus, I would feel like an infidel if I did not help him. The Christians in the Bible were in need of money for their needs. I have encountered very many needy ministers in America. The Gospels and the letters of the writers of the Testaments seem to indicate leaders in Christ should expect persecution more than any kind of money expectation. The leaders should expect to suffer the most in this world and have tribulations. This seems to be true for Jesus and Paul. Paul wrote about joy while in prison. Prisons of 2000 years ago would were like Hitler’s concentration camps. Even then Paul did not write leaders should expect payment. Paul and the other writers could have made it clear support Christian leaders financially or you are in sin. They did not. If you have read this entire post then you have suffered for Jesus thank you all and have a happy new year being priest of Jesus and setting people free to love Jesus more. 7 ¶ Even from the days of your fathers ye are gone away from mine ordinances, and have not kept them. Return unto me, and I will return unto you, saith the Lord of hosts. But ye said, Wherein shall we return? 8 ¶ Will a man rob God? Yet ye have robbed me. But ye say, Wherein have we robbed thee? In tithes and offerings. So here is the rebuke, Isreal is told they have slipped away from Gods ordinances. Isreal questions, How do we return back to doing what we are required of thee to do? The reply is that Isreal has robbed God. Isreal queries, How have we robbed God? God replies, you have robbed me by not paying tithes and offerings. So, God says tithing is one of his ordinances. Is it a sin to “rob” God by not paying tithes AND offerings? Well, God says “Ye are cursed with a curse” Perhaps he doesn’t outright call it a sin but who among us are willing to endure a curse from God if we don’t pay a measly 10%? Not me! As with all Gods laws and ordinances, He doesn’t just curse you if you don’t do them he also rewards you if you do do them. I love the next verse. God very nearly says, Go ahead, try me!. “Prove me now herewith…if I will not open you the windows of heaven, and pour you out a blessing, that there shall not be room enough to receive it. It’s pretty clear! GOD DOES NOT CHANGE. Either don’t pay tithing and get cursed or do pay tithing and be overwhelmed with blessings. Now, it behooveth every Minister, Paster, Elder, Bishop and the like to preach truth. It is the obligation of all clergy, after recieving confirmation from the Holy Spirit that this is a true priciple, to teach it to their congregations and to obey it themselves. Think about it, by not teaching this to congregations Clergy are preventing God from being able to pour out the blessing of Heaven (as pertaining to the Law of Tithing) on his children. I for one don’t want to be the standing before the judgement bar of God explaining that I didn’t understand what Malachi was saying. I agree Christian ministers should not depend on the poor by implying that they should give 10% of their income to support their Christian professions to teach the Words of Jesus. I agree that Jesus was very hostile to the Religious professionals of his day. Al Are you against Christian tithing? Pastors are only found once in the New Testament do you think that elder means Pastor? What do you think about Priest being elders or Teachers being elders, Prophets being elders, or missionaries being elders? Read my post to Frank and tell me where we agree and disagree if you have time. Explain how you disagree with the status quo of most Churches in America today if you have time. I think the Body of Christ needs more families and friends and less organizational structures. I also believe that most traditional evangelical Christian leadership entitlements are mostly bad because they mostly work against friendships and families in Jesus. How can one be a friend in Jesus when one expects 10% of another’s cash? This kind of unequal leadership sounds more like a worldly government like the state of California than the Body of Jesus Christ. We should be known for being friends and family instead of being people who go to a certain place regularly on Sundays and Wednesdays. Our traditions are not meant to be hostile but the entitlements and organizational structures tend to rob what the New Testament would consider normal Christian life in Jesus Christ. The Body of Christ needs more neighbors, friends and family and less entitlements, demanded money tithes, and organizational structures. I think you and I have some similarities in our understanding of the Gospel of Christ. It sounds like you disagree with Tithing because church leaders leech that tithing to support their salaries. If this is the case then amen to you my brother. In my original post and here again I call for all paid clergy to take personal responibility for themselves. Trust in the LORD with all thy heart….trust not that the congregation will make your house payment. It’s my belief that accepting a salary at the expense of the congregation bares with it the same consequenses as if you had literally stolen it from God himself. So why was Christ so upset about the money changers? After all, they were performing a duty that needed to be done. Travelers from other regions needed money changed, doves needed to be sold to temple goers…why then did Jesus react as he did? The reason is because the men were using the temple as a means of personal profit. Are not many priests, teachers, evangilists, pastors and the like using the church as a means of personal gain just as the money changes in the temple? I say yes. Most paid clergy are wonderful honorable men, that is good, the world needs more wonderful honorable men to teach the truths of God. Many however, because of the corruption of those who came before them, have never given thought as to the morality of using sacred funds for personal gain. The path to return to the Creator is not an easy one for anyone, including clergy. Clergy are tempted with money and power just as any one of Gods children. My prayer is that those who use sacred funds by receiving a salary will seek a more noble path of self-sufficiency through reliance upon our Lord and not their congregation contributions to feed the hungry, clothe the poor and keep the lights on at the church.